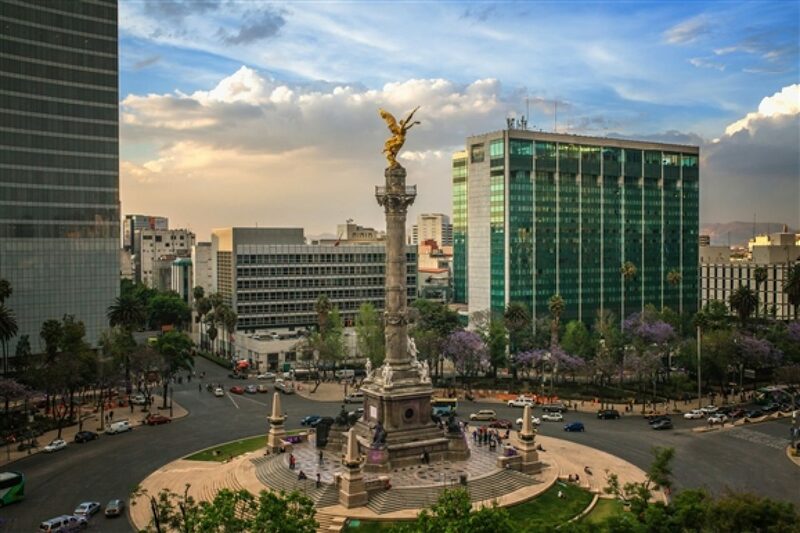 I have lived on and off in Mexico since 2001, most of the time in Mexico City. Having written a history of Mexico (Gods, Gachupines and Gringos: a people’s history of Mexico), a few shorter books on Mexican history, and having maintained a website for many years on Mexican history, culture and politics, I expected after a bicycle accident back in May 2017 that I would just work on revising a book while leisurely recovering. Things turned out differently. With my tibia broken in two places, and a broken fibula to boot, the recovery was slow… slow enough, it appeared for me to pick up an antibiotic resistant bacterial infection, leading to osteomyelitis. I spent a couple of months in and out of the hospital, a year on fruitless rehabilitation therapy and in the end my doctors’ opinions.. and the second and third doctor’s opinions were all the same. Attempts to treat the osteomyelitis would mean continuous hospital stays, with next to no hope of a cure and every expectation that the situation would worsen, or to have a transfermoral amputation. OK, so I tango lessons are probably out, even if I am fitted for a prosthesis, and maybe I won’t be able to climb the pyramids again, but this vibrant, multi-cultural, monster-opolis is one still worth exploring, and getting to know. Yeah, my interests tend to scholarly “culture” with a capital “C”, but then again, bars, restaurants, clubs, cafes, street markets, sports centers are part of the culture that is out there to explore… whether on wheels on on foot, this is still the most exciting (though at times exasperating) city on the planet, and one we shouldn’t avoid simply because we have a different mode of travel. As with my other site (The Mexfiles), I don’t accept advertising, nor do I ask to be “comped” for reviews or coverage. I encourage people to send me their own reviews (un-comped, of course) at richmx2 (at) live (dot) com. The important thing to this site isn’t so much whether you liked the food or the music (though what sort of food, and what kind of music is useful to know), as things like whether the doors are wide enough for a wheelchair, whether there are handicapped bathrooms, and how WE are treated when we come rolling along. I run my sites out of my own pocket on a limited income, and do accept donations.